I know what I like… but you may not want this in your wardrobe? It’s a curious beast is music and you never quite know what will, or will not appeal. For the most part I don’t really do progressive metal, mainly due to the oft present, archetypal vocals. 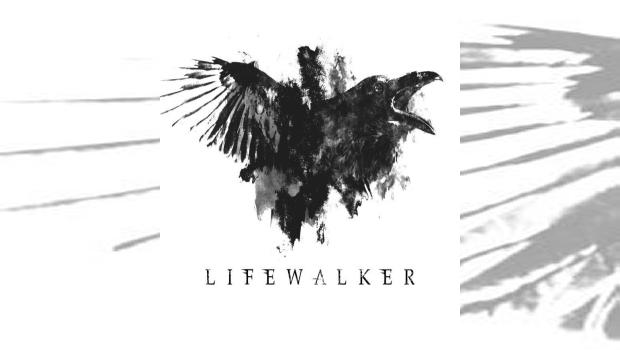 So happy to report Lifewalker’s Stephen Dodge bucks that trend, and his sweeter tones are picked up in the EP’s opener, Genesis. With the tracks ethereal intro, poignant melody and sparse arrangement the song makes a strong opening statement. As the band rise to the call, so does Dodge, with a powerful, emotionally charged performance. Hailing from Virginia Beach these five young guys have produced a mature sounding EP that kicks when it needs to, but also sits back when necessary. The end result is music that grabs you by the throat, but not too tight that you can’t breathe. The keyboards help here and spread across the entire EP, used sparingly within the tracks, but this would be a poorer release without them. Both the opening of Exodos and the closing section of Patient Zero benefit from the spatial piano, whereas the strings that introduce Hollow Vessels contrast the angst of the track, whilst Patient Zero benefits from the strings which sit lower in the mix, but certainly add greater depth. The EP has an overall concept touching on aspects of mental illness, which the guys cover convincingly, both lyrically and sonically and by doing so add further depth and emotion to the music. Genesis segues into the aggressive Diagnose Me, with its incisive djent guitars, powerhouse rhythm section, ear friendly melodies, solid hook-lines and gripping vocals. Within these two tracks is a microcosm of the Rx EP. What’s refreshing about Rx is that although these guys have the ability to play, they don’t overdo it. So there’s little in the way of fanciful and lengthy instrumental sections – in fact there aren’t any to speak of, just in context and brief solos in certain tracks. The thrust of the music is therefore about the music, rather than the musicians. Don’t let me try and pull the wool over our eyes, this is high octane EP throughout, which culminates in the final track. Maybe Rx should come with a Parental Warning, certainly for the Falling Skies, but hey, WTF. Why does Rx appeal? I can’t put my finger on it, but it just does. I kept harking back to an album from 2009, Herald Moth, from UK based InMe – couldn’t say why that album resonated with me – but it did, and still does. I can imagine this EP will do the same. Great fun and if the heavier end of the prog spectrum is your thing, then their more commercial slant on the genre may well appeal. I’m no expert (massive understatement) in this field, but TesseracT seemed to be a reasonable comparator.